03.21.2020 5:00pm 334 Days Until Euchre Party! March 21 is the 2020 Xemplar Euchre Party - One Great Evening! 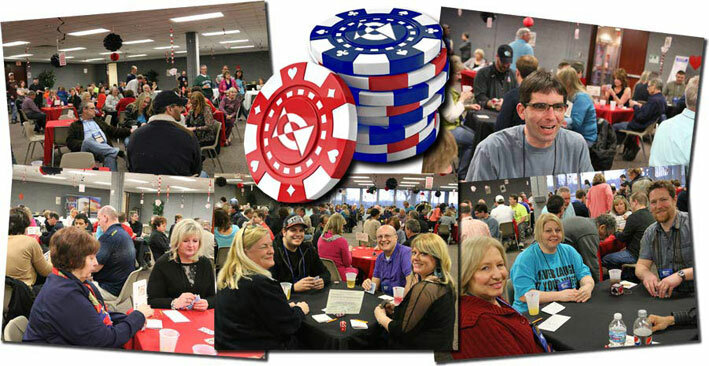 The 2020 Xemplar Euchre Party XI will take place on March 21, at the Costick Activities Center on Eleven Mile Road in Farmington Hills. Proceeds benefit at-risk children, families and seniors in our community through the non-profit Xemplar Foundation. Advance registration is available online for only $45/per person ($50 at the door, subject to availability). Includes dinner, pop, cash prizes, raffles, 50/50 and more. Doors open at 5:00pm. Walk-in registrations are first-come, first-serve if available (maximum 200 players). First round begins promptly at 6:30pm.